But I have to say, the class of 4th graders I had this morning made my day. They were troopers, they really helped me catch up today. 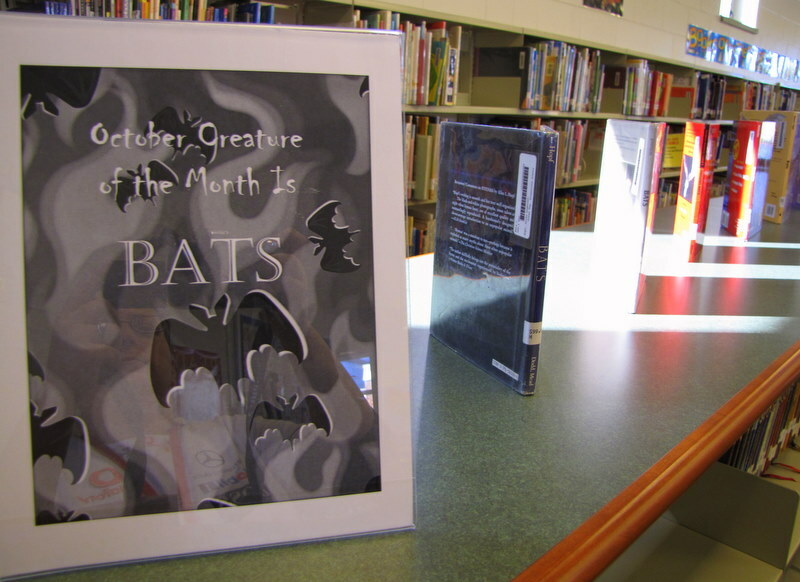 Two of the boys pulled all the bat books and set up my “Creature of the Month” display for October. They also set up my “Spotlight On RL Stine” display for me. 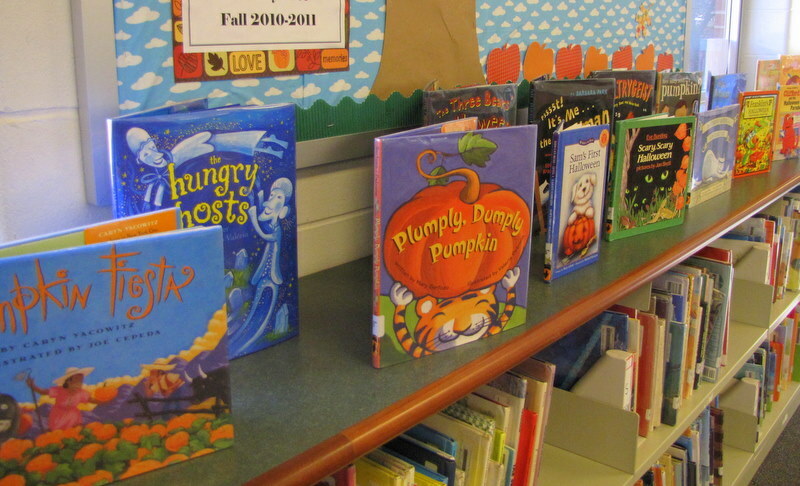 And another group of kids from the same class pulled all the Halloween books (marked with a special sticker, thank you last librarian!) and set up the Halloween display. All the other kids straightened shelves, checked books in and out, and generally helped me pull the library together. I also started unpacking boxes, a lot of the goodies I ordered started arriving this week. Now to rest up over the 3 day weekend and (hopefully) be back on Tuesday in top form.